The Wyvern Division was the first regional committee to be established in 1964 by the National Federation of Sea Anglers (NFSA) to promote and deal with local sea angling issues . The West-country members of the NFSA Standing Committee; Ron Marles, Brixham SAC; Derek Hales, Teignmouth Sea Angling Society, along with representatives of the clubs within the area became the first committee. The divisional boundaries were drawn up and the name was taken from the old military area as was its neighbouring Division to the east, Wessex. Wyvern quickly became established and over the next 20 years developed into one of the top divisions, a position it holds to this day. At its heyday there were over 100 clubs in membership and the successfully run Festivals and Competitions enabled the Division to be self-financing and thus enable the division to be very effective within its area. 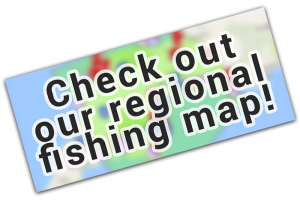 In 2009, following the requirements of Sport England for funding, the three disciplines of angling came together and the NFSA became the marine arm of the Angling Trust (AT) which was established as the governing body of all angling in England. The name division was dropped to become became a region of the AT Marine Group and its officers continue to represent its interests on competitions and fisheries matters. The Region has always played its part by representing sea anglers interests whenever it can, and has been represented on the Devon Sea Fisheries Committee now replaced by the Devon & Severn Inshore Fisheries and Conservation Authority (IFCA) for many years. It continues to organise annual Senior and Junior Shore Festivals along with the National two day Small Boat Festival at Salcombe, (the Friendly Festival) The monthly Fish of the Month Competition and the annual Junior Dennis Smith Trophy and senior Castle Trophy Shield, which donates a sum each year to the charity of the winners choice, are both awarded for the best specimen fish registered within the year. Therefore, a plea from our chairman Alex Parker, who cordially invites Angling Trust Members or Club representatives to join us at our meeting venue at the Royal British Legion in Aplhington, Exeter on the second Wednesday of the months of January, April, July and October, or, at the very least the Annual General Meeting in November of each year. Finally sea angling is about enjoying its pleasures, we are the eyes and ears of the marine environment and it is up to us to make sure that future generations can continue to share those pleasures.